Located in northwestern Beijing, Yanqing District is 74 kilometres from the city centre and occupies a total surface area of 1,993.75 square kilometres. It has a permanent population of 317,000. It is the ecological and resource development area of the capital, and is known as the summer city of Beijing. 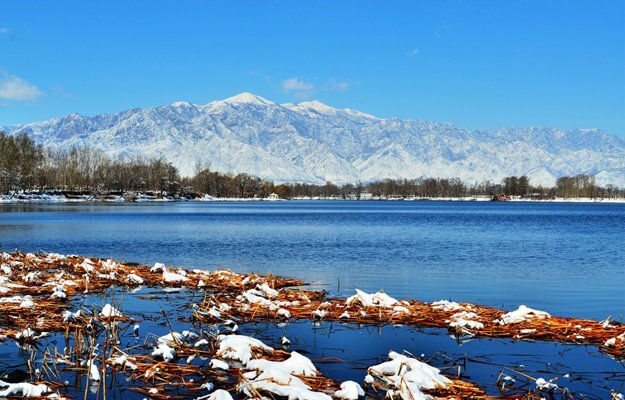 Yanqing is fully committed to becoming a “city of ice and snow”. Rich in natural resources, the picturesque natural landscape of Yanqing is a beautiful painting showcasing the versatile face of Beijing. The district boasts outstanding ecological environment and high forestation, and its air quality is the best in the city for many consecutive years. As a national ecological civilisation pilot base and national ecological county, lush mountains, crystal-clear water and blue sky have become its model image. The district is a top tourist destination in suburban Beijing and has over three-dozen unique sights, including Badaling, Longqing Gorge and Mount Yudu. 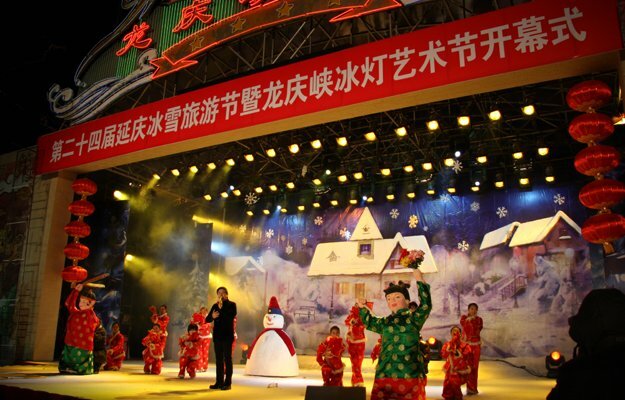 Many spectacular leisure activities take place in Yanqing District, such as the ice lantern and snow festival, attracting 20 million visitors each year. Yanqing District is steep in history with profound culture. 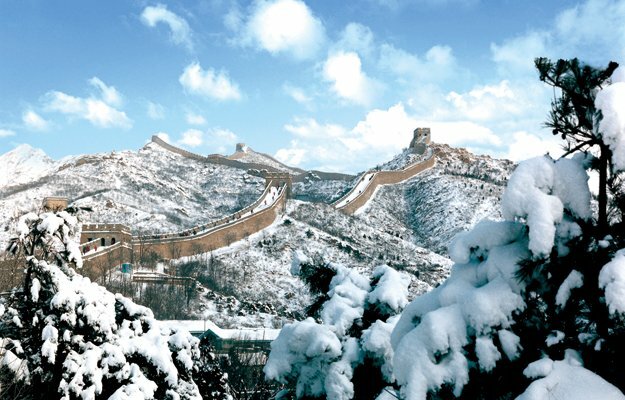 Its highly distinctive regional cultures such as that of the Yan and Yellow Emperors, Guichuan and Great Wall added to that of Beijing. In recent years, Yanqing District has accelerated its connection to the world. It has successfully created Yanqing Global Geopark of China in 2013 and hosted the World Car Camping Conference and the International Conference on Grapevine Breeding and Genetics in 2014, and the World Potato Congress in 2015. The International Horticultural Exhibition 2019 will take place in Yanqing Zone, while the Alpine Skiing, Bobsleigh/Skeleton and Luge competitions of Beijing 2022 will also take place here. The beautiful Yanqing District is showcasing the world her unique charm; the international Yanqing District is ready to take off; and a world-class ecological civilisation demonstrative area is setting off on a new quest. Landscape culture: Yanqing is surround by mountains on all three sides and a river. It enjoys a pleasant climate and picturesque scenery. The county is blessed with natural wonders such as the scenic areas of Songshan Mountain, Yudu Mountain and Longqing Gorge along the north mountain ranges; the tourist attractions of Dishuihu and Wulong Gorge in the east mountain area; and Kangxi Grassland and the ecological corridor along the Gui River in the west and central valley areas, respectively. They are not only the great creation of the nature, but also the results of the ecological construction in Yanqing, which form unique cultures with their respective appeal. Beijing 2022 proposes 25 venues that are located in three zones in Beijing, Yanqing and Zhangjiakou. The Yanqing Zone has a total of 5 competition and non-competition venues. 3 sports (Alpine Skiing, Bobsleigh/Skeleton and Luge), 4 disciplines (Alpine Skiing, Bobsleigh, Skeleton and Luge) and 20 events will be held here. The development of Yanqing Zone will improve local transport and infrastructure facilities of surrounding area, and create favourable conditions for regional development. The construction of the venues uses local terrain as much as possible, minimizing environmental impacts, reducing cut and fill, and saving investments. The Olympic Village in Yanqing Zone will accommodate 1,430 athletes and team officials. The Beijing 2022 Paralympic Winter Games will use five competition venues (the National Indoor Stadium, National Aquatics Centre, National Sliding Centre, Genting Snow Park A and Biathlon Centre) to host six sports (Ice Sledge Hockey, Wheelchair Curling, Alpine Skiing, Snowboarding, Cross Country Skiing and Biathlon). The planning, design and renovation of the venues will meet the requirements of the International Paralympic Committee to ensure full accessibility. Sufficient spaces will be preserved for the wheelchair users.